After a few collaborations with other artists, Gallant teamed up with Jhené Aiko to record “Skipping Stones.” The song combined Gallant’s signature falsetto style with Jhene’s alluring vocals to create a slow-burning groove. Following this song’s success, Gallant released his critically acclaimed debut album, Ology. The album’s success led to Gallant’s making his television debut on The Tonight Show Starring Jimmy Fallon. 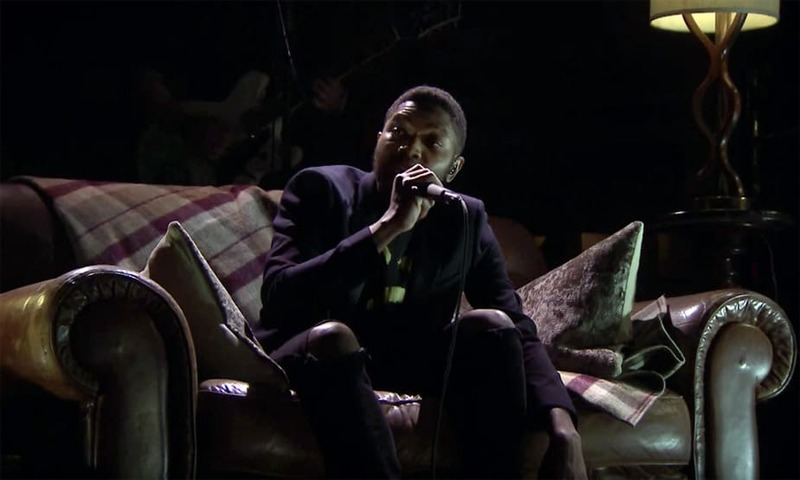 In this video, Gallant performs his song, “Weight in Gold.” He begins by singing softly while sitting on a couch and watching static on a TV. When he stands up, he excites the crowd with the full power of his magnificent voice. Tweet us @mochamanstyle or leave a comment on our Facebook Page to share your thoughts on this article. Follow us on Instagram @mochamanstyle.